The 4 x 1 HDMI PIP Switcher allow access to multiple HDMI sources, Using a single HDMI sink. 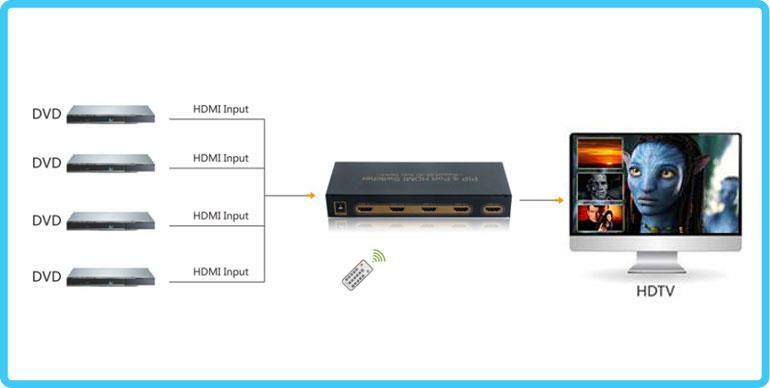 The Switcher allow three HDMI devices to switched easily through one HDMI compatible monitor or projector. 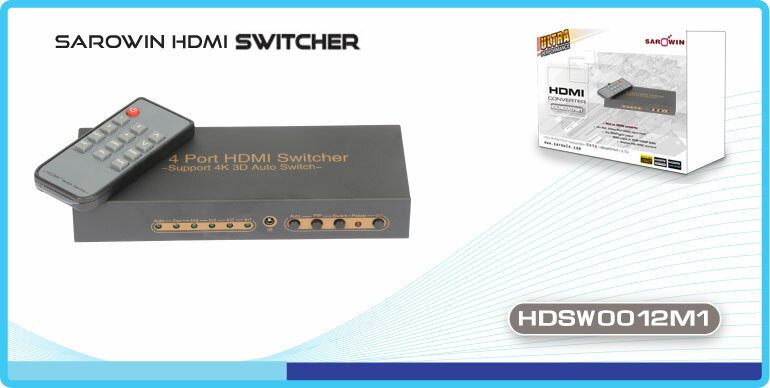 The Switcher can also placed at the end of a long HDMI cable to regenerate the HDMI signal. 1. Connect one HDMI cable from HDMI source devices into HDMI input of switcher. 2. Connect one HDMI cable from TV/Monitor into the HDMI output port of switcher. 3. Connect power adapter to the switcher DC jack and inserted into the power socket. 4. Turn on the power switch and one of the input channels indicator will be it. 5. 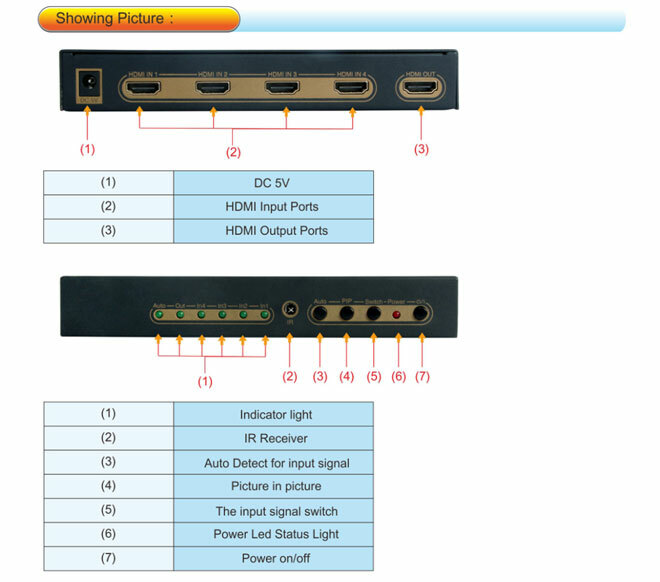 Use of switch key or remote controller to select the input signal source. 1. PIP function only effect for input source with resolution not higher than 1080p. 2. At PIP state, at left side of main picture will show the new input source small picture. 3. The small picture size at PIP state is fixed.